Farmers Markets are open and ready for business- making it easy to find what's fresh and in season. Picnics, cookouts, dining al fresco... summer is here! And it's the perfect time to pick up some foodie tips from the pros. "The more you know, the more you will enjoy" is the philosophy behind How to Eataly, and it is the idea behind this essential compendium of Italian cooking. Here, Eataly’s team of experts, including Mario Batali and Lidia Bastianich, covers everything you need to know about Italian food, starting from the ground up. Learn how to assemble an antipasto platter, how to eat breakfast like an Italian, and how to use pantry flavor boosters like capers and anchovies. The first secret to the best cooking, of course, is the best-quality ingredients. 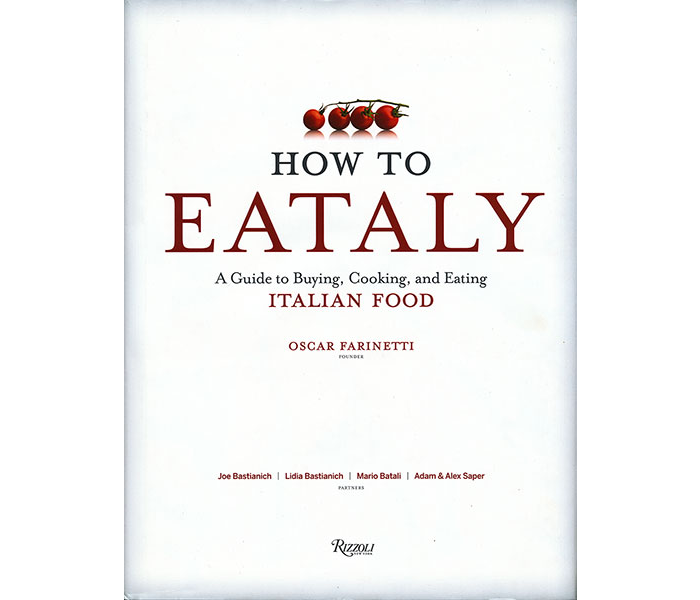 How to Eataly tells you what to look for in the market, then offers one hundred recipes for contemporary classics such as Acorn Squash with Lentils, Vesuvio Pasta with Sausage, and Panna Cotta with Streusel. In addition, the book is packed with simple ideas for what to do with staples, from olive oil to mozzarella. How to Eataly empowers you to create delicious meals by fostering a total understanding of Italian cooking. Click here to purchase your copy! Italian food is one of the most delicious kitchens in the world. I had the chance to go to Milano and eat pasta, pizza and gelato. There are no words that could describe the divine taste of their food. I will buy this book with the idea to become an Italian foodie. Won't mention how many tomato sauce they use and if a few drops all then a tough cleaning job is expecting you. Thanks!